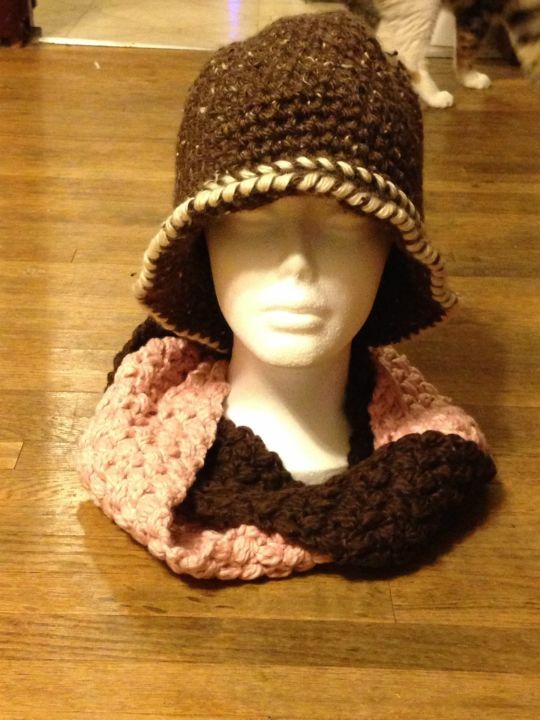 Pink and Brown infinity scarf made with 100% Organic yarn, no dyes and no chemicals. Very soft. I used a crisscross puff stitch. Thank you! I love organic yarn. So soft and chemical and dye free!